Yesterday, Sky went back to the after-school art class for the first time since being "dis-enrolled" from it. He went prepared with his visual cue card, a container of gum, his sketch pad, and a note to his homeroom teacher reminding her to send him to the art class instead of to the bus. He came home excited that two friends from his class are participating this session. Other than that, this class was no different for him than all the others. Wanted to let you know Sky did a great job today, I was very proud of him! Miss S was out sick today, and I was available to teach the class. He politely asked me about the gum just before class and half way through, he asked to get another piece, which was no problem. I think it really helped. He really only blurted out once. He got a little silly a few other times, but really not any more than some of the other kids. It's cartooning so we expect a little more silliness. He fell off his chair once, but it didn't appear to be attention seeking, I didn't make a big deal about it. When I was collecting sharpies, he did throw his sharpie towards me. He realized his error right away and said "I should have said catch", I agreed and suggested handing it to me next time instead. He didn't use his sketch pad until he was done with his picture. He doodled on our black scratch paper between steps, which is fine. He went ahead drawing instead of following the steps - but that's perfectly fine too. I could tell that he was really trying to control himself and to please me. He was sweet, polite and looking for reassurance, which I gave him. I did have him sit up front, which he didn't seem to mind (I had name cards already in place when the kids came in, so it was assigned seating for everyone). When it was time to color he shared markers with the girl next to him, they got along really well. I really appreciated that she took the time to let me know how it went. Thing is, though, I'm pretty sure that's what he's been doing all along. He never keeps it all together, but he cares about what you think, and he tries HARD. Isn't it amazing what people can see if they take the time to understand difference as something other than annoying? If people take the time to look--you know, to really look--they can see Sky for who he is. And, then they figure out he's not that hard to teach after all. When teachers get Sky: This one let him play with the piano cover off so he could satisfy his strong need to see how the piano works as he plays. I remember entire lessons (lessons!) lost to the denial of his unrelenting need to look inside the piano. But how do we teach this? 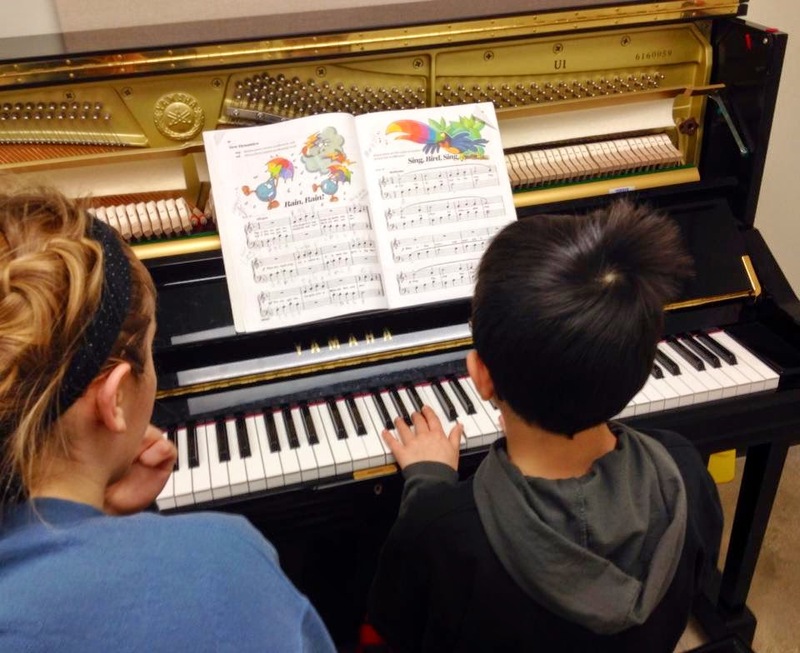 How do we find teachers like this piano instructor who are willing to think outside the box? How do we help people see neuro-diverse kids and kids with learning differences for who they really are? I'm not sure I know the answer, but I do know that it's my job to advocate and to educate until things change. It's all our jobs, really. I've been just a lurker here, but I wanted to tell you that I am SO impressed with this story you've shared over the last week or so. The way you advocate for Sky, even when you feel tired of it all, is just amazing. You are a hero.